Below is a summary of recent transactions approved and/or closed over the past several years. Additional information and references can be provided upon request. 4/2019 – $127,500 – Refinance Single-family Investment Property: The Client was seeking to refinance the existing mortgage on their single-family investment property with cash out up to 75% LTV to payoff debt. We were able to secure financing at a fixed rate with a private lender to facilitate the refinance and meet the Client’s needs. 4/2019 – $226,875 Apartment Building Acquisition: The Client was seeking to purchase a 6-unit apartment building as an investment property. We were able to secure financing at a very attractive fixed rate with a traditional lender on a 30-year amortization to facilitate the acquisition. 3/2019 – $1,068,750 – Apartment Building Acquisition: The Client was seeking to acquire a 17-unit multi-family apartment building as an investment property. We were able to secure financing at a reasonable rate via Freddie Mac to facilitate the acquisition. 3/2019 – $250,000 Refinance Mixed-Use Building: The Client was seeking a cash out refinance on their partially owner-occupied mixed-use building (that was primarily leased to other tenants) in order to make improvements to the property and repay seller financing on the property. We were able to secure financing at a reasonable rate with a traditional lender to facilitate the cash out refinance. 3/2019 – $330,000 Construction Financing: The Client was seeking to refinance the existing mortgage on their community grocery store, refinance all other existing debt, along with fund construction costs to build an addition to the building. We were able to secure an SBA 7A loan to facilitate a refinance of all of the existing debts and fund 100% of the costs to expand the building. 3/2019 – $3,600,000 Land Acquisition & Construction Loan: The Client was seeking financing to acquire a vacant land parcel to construct a new daycare facility and fund initial operating costs. We were able to secure financing with a traditional lender to facilitate the acquisition and fund construction and initial operating costs to meet the Client’s needs. Via an SBA 504 loan the Borrower only needed to bring 15% equity into the transaction as a new business start-up. 3/2019 $352,500 Apartment Building Acquisition: The Client was seeking to purchase a 6-unit apartment building as an investment property even though the client lives internationally for work. We were able to secure a fixed rate with a private lender to facilitate the acquisition. 3/2019 – $216,000 Apartment Building Acquisition: The Client was seeking to acquire a 6-unit apartment building for investment purposes. This was this client’s first investment real estate acquisition. We were able to secure a fixed rate with a private lender to facilitate the acquisition and finance 75% of the acquisition price. 2/2019 – $202,000 Refinance Single-Family Investment Property: The Client was seeking to refinance a single-family investment property they own and maximize the cash out. We were able to secure financing with a private lender at a reasonable rate to facilitate the refinance and cash them out 75% of the current appraised value of the property. 2/2019 – $150,000 Refinance Single-Family Investment Property: The Client was seeking to refinance a single-family investment property they own. We were able to secure financing with a private lender at a reasonable rate to facilitate a quick refinance of the property with minimal paperwork to meet the Client’s needs. 2/2019 – $130,000 Refinance Single-Family Investment Property: The Client was seeking to refinance a single-family investment property they own. We were able to secure financing with a private lender at a reasonable rate to facilitate a quick refinance of the property with minimal paperwork to meet the Client’s needs. 1/2019 – $210,000 Purchase Auto Repair Shop Property: The Client was seeking to purchase an auto repair shop property to move their existing business into. We were able to secure financing for a non-U.S. citizen with a traditional bank to facilitate the acquisition and meet the Client’s needs. 1/2019 – $153,000 Purchase Retail Condo: The Client was seeking to purchase a retail condo to open a new nail salon business. We were able to secure SBA financing to facilitate 90% of the acquisition cost for the property as well as working capital and equipment costs and meet the Client’s needs. 1/2019 – $480,000 Refinance Business Debt: The Client was seeking to refinance the existing debt of their safety contracting business, along with obtain some fresh working capital to meet future business needs. We were able to secure an approval for an SBA 7A loan to facilitate the refinance and provide working capital going forward. 1/2019 – $183,750 Apartment Building Acquisition: The Client was seeking to purchase a 6-unit apartment building as an investment property. We were able to secure financing with a traditional lender at a reasonable rate to meet the Client’s needs. 1/2019 – $276,250 Business Acquisition Loan: The Client was seeking to purchase a liquor / grocery store, along with obtain working capital to cover initial start-up costs of the business. We were able to secure an SBA 7A approval to facilitate the acquisition and meet the Client’s needs. 12/2018 – $3,300,000 Refinance Hospital Property: The Client was seeking to refinance a hospital property owned by a group of investors in order to facilitate paying off the original seller note. We were able to secure non-recourse financing with a traditional bank to facilitate the refinance for the Client at a very attractive fixed rate. 12/2018 – $300,000 Refinance 6-unit Investment Property: The Client was seeking to complete a cash-out refinance on a 6-unit multi-family investment property to payoff another property they were in foreclosure on. We were able to secure financing with a private lender despite the foreclosure on the other property to facilitate the refinance and meet the Client’s needs. 12/2018 – $425,000 Commercial Term Loan: The Client was seeking to refinance existing equipment, buy some new equipment, along with fund the build-out to their new leased office space to move their Dental Practice. We were able to secure financing with a traditional lender with a strong fixed rate for 100% financing for the new equipment and build-out. 12/2018 – $430,000 Cash Out Refinance Commercial Investment Property: The Client was seeking to refinance a warehouse investment property they owned free and clear in order to facilitate paying off a different property they owned. We were able to secure an approval with a traditional bank to meet the Client’s needs. 12/2018 – $600,000 Refinance 20-unit Apartment Complex: The Client was seeking to refinance a 20-unit apartment building to take cash out to consolidate some outstanding credit card debt. Some recent negative credit history had their existing lender asking them to move the loan. We were able to secure an approval with a traditional lender at a strong fixed rate to meet the Client’s needs. 12/2018 – $280,000 Construction Loan for Single-Family Residence: The Client was seeking financing to construct a single-family residence on vacant land they owned free and clear. We were able to secure the construction loan the Client needed with a traditional bank lender at a reasonable rate to meet their needs. 11/2018 – $720,000 Purchase Retail Property: The Client was seeking to purchase a retail property that they planned to make improvements to and owner-occupy. We were able to secure financing at a reasonable rate with a traditional lender to meet the Client’s needs. 11/2018 – $120,000 Refinance Investment Property: The Client was seeking to finance a residential investment property owned free of debt to get cash out to purchase another property. We were able to secure financing for 75% of the appraised value of the property with a 5/1 arm mortgage with a private lender at an attractive fixed rate with a 30 year term and amortization. 10/2018 – $3,015,000 Business Acquisition: The Client was seeking to purchase and operate a well-established distribution business. We were able to secure SBA 7A financing for 90% of the acquisition cost to facilitate the acquisition of this business, which was primarily goodwill secured. 10/2018 – $1,235,000 Restaurant Acquisition & Rehab: The Client was seeking to acquire a former closed restaurant and property in order to rehab and open as a new concept. We were able to secure an SBA loan approval to facilitate the acquisition and conversion of the property from a restaurant to a banquet facility. 10/2018 – $600,000 Refinance Mixed-Use Property: The Client was seeking to refinance their owner-occupied mixed-use property to consolidate business debt. The client did not report sufficient income on a historical basis to support the new loan request. We were able to secure financing via a private lender with a reasonable fixed rate and a 30 year amortization based on bank statements only. 10/2018 – $217,500 Refinance Residential Investment Property: The client was seeking to take cash out on a residential investment property they owned free and clear. We were able to secure financing for as much as 75% of the appraised value of the property with a 5/1 arm mortgage with a private lender at an attractive fixed rate with a 30 year term and amortization. 9/2018 – $363,000 Restaurant Start-Up: The Client was seeking an SBA loan to complete leasehold improvements and open a new restaurant / bar. We were able to secure the financing via an SBA loan with minimal cash down at a reasonable rate to meet the Client’s needs. 9/2018 – $147,750 Purchase Residential Investment Property: The Client was seeking to purchase a residential investment property out of state. We were able to secure a 5/1 Arm with a private lender at an attractive fixed rate with a 30 year term and amortization. 8/2018 – $900,000 Refinance Community Grocery Store: The Client was seeking to take cash out on a community grocery store they owned free and clear in order to facilitate improvements to the property, buy new equipment and pay off their existing loan. We were able to secure traditional bank financing to refinance the property for the cash they need to improve the business. 8/2018 – $1,225,000 Business Acquisition: The Client was seeking to purchase and operate a software publishing company. The assets to secure the loan were primarily goodwill. We were able to secure SBA 7A financing for 90% of the acquisition cost with 5% buyer equity and 5% seller carry. 8/2018 – $465,000 Refinance Commercial Condos: The Client was seeking to refinance the existing mortgage on two commercial condo units in order to facilitate cash out for tenant improvements. We were able to secure an approval with a traditional lender to facilitate the refinance and get the Client the cash out needed to make improvements to the units with a long term fixed rate. 8/2018 – $3,810,000 Business Acquisition: The Client was seeking to acquire a manufacturing business from the owner of the company where they currently work. We were able to secure an SBA 7A loan to facilitate the acquisition of the business with only 5% in buyer equity down. 8/2018 – $250,000 Refinance Mixed-Use Property: The Client was seeking to refinance the existing mortgage on an investment property they owned in order to facilitate some cash out to be used to meet the working capital needs of their business. We were able to secure an approval with a traditional lender to facilitate the refinance at an attractive long-term fixed rate. 8/2018 – $4,465,500 Business Acquisition: The Client was seeking to acquire a marketing and communications business in another state from where they lived. We were able to secure an SBA 7A loan to facilitate the acquisition of the business with only 5% buyer equity in the transaction. 8/2018 – $150,000 Refinance Mixed-Use Property: The Client was seeking to take cash out on a mixed-use property they owned free and clear to pay for their divorce settlement. We were able to secure financing to facilitate the cash out and meet the Client’s needs. 8/2018 – $150,000 Commercial Line of Credit: The Client was seeking to take out a new commercial line of credit to meet the working capital needs of their medical practice. We were able to secure financing at a solid rate from a Community Bank to meet the Client’s needs. 8/2018 – $200,000 Commercial Term Loan: The Client was seeking to acquire term debt to refinance the balance on their existing line of credit because their existing bank was exiting the relationship due to some historical losses. We were able to secure term debt secured by equipment at a solid rate from a Community Bank despite the historical losses. 8/2018 – $1,400,000 Refinance Owner-Occupied Office Condos: The Client was seeking to refinance three separate medical condos they owned into one new mortgage because their existing Bank was exiting their relationship due to some historical losses. We were able to secure financing at a solid fixed rate with a community Bank despite the historical losses to facilitate the refinance. 8/2018 – $867,000 Grocery Store Acquisition: The Client was seeking to acquire the retail property they operated their community grocery store from. We were able to secure an SBA 7A loan approval to meet the Client’s needs, despite some past credit issues. 8/2018 – $750,000 Commercial Line of Credit: The Client was seeking to establish a commercial line of credit to meet the working capital needs of their import and sales business, and due to international ownership needed a non-recourse line of credit. We were able to secure financing with a traditional lender at a reasonable rate and without recourse. 8/2018 – $2,450,000 Refinance Mixed-Use Commercial Loft Buildings: The Client was seeking to refinance two mixed-use commercial loft building, along with paying off some investors in the properties. Ownership has previously gone through a bankruptcy. We were able to secure financing with a traditional lender and a solid fixed to facilitate the refinance despite the historical bankruptcy. 7/2018 – $1,605,000 Purchase Multi-Unit Retail Property: The Client was seeking to purchase a salon suite property as an investment and to one day potentially occupy with their own business. We were able to secure traditional financing to facilitate the acquisition via a 1031-exchange at an attractive community bank fixed rate with 20 year terms. 7/2018 – $180,000 Purchase Commercial Space in Mixed-Use Property: The Client was seeking to expand their business and acquire a first floor commercial condo to move their retail business into. We were able to secure traditional financing to facilitate this acquisition with 80% financing at a solid fixed rate with a community bank. 6/2018 – $3,256,500 Facilitate partner buyout and debt consolidation: The Client was seeking to buy out their business partner and consolidate all outstanding business debt under one new term loan. We were able to secure SBA financing to facilitate the buyout with 100% financing of the buy-out provided with no buyer equity required with a 10 year amortization with a community bank that does SBA lending. 6/2018 – $2,500,000 Commercial Line of Credit: The Client was seeking a commercial line of credit to pay off their existing line and to fund the future working capital needs of their business. We were able to secure a low rate operating line of credit to meet the Client’s needs and advance rates that work for the client with a traditional bank. 6/2018 – $500,000 CapEx Line of Credit: In order to fund future growth the Client needed a CapEx line of credit apart and separate from their traditional working capital line of credit. We were able to secure a CapEx line with a traditional community bank at an attractive fixed rate to give our Client the access to capital they needed to fund future equipment needs. 6/2018 – $5,530,000 Business Acquisition / Term Loan: The Client was seeking to acquire a division of a manufacturing company, along with refinance some of their existing equity and term debt. We were able to secure financing to facilitate the acquisition of the new company and refinance all existing term debt with a community bank at an attractive fixed rate, and get the loan approved and closed in roughly 30 days so they could meet a deadline from the seller. 6/2018 – $2,250,000 Refinance Owner Occupied Industrial Warehouse: The Client was seeking to refinance multiple owner-occupied commercial properties located in three states, taking some cash out to be used to fund a business acquisition, as well as acquire another property. We were able to secure financing of up to 75% of the appraised value for each property in one combined commercial mortgage loan with a community Bank at an attractive fixed rate, and get the loan approved, appraisals done, and closed in less than 30 days time to meet a tight timeframe from the seller. 5/2018 – $380,000 Refinance Apartment Building: The Client was seeking to refinance their 6-unit apartment building, along with take some additional cash out on the property to complete improvements due to a previous fire that occurred, which left the property largely vacant and not cash flowing. We were able to secure financing to facilitate the refinance and cash out for improvements with a solid fixed rate with a community band despite the lack of historical cash flow. 5/2018 – $420,000 Refinance Business Debt & Provide Working Capital: The Client was seeking to refinance the outstanding business debt for their consulting business, along with obtain some fresh working capital to fund company growth. We were able to secure an SBA 7A loan to facilitate the refinance and new working capital with a long-term ten year loan with a national SBA lender. 4/2018 – $1,375,000 Grocery Store & Gas Station Acquisition: The Client was seeking to acquire a grocery store, currency exchange and gas station that they planned to operate and manage. We were able to secure an SBA 7A loan approval on an extended term to successfully finance both the property and the business acquisition, including the currency exchange. 4/2018 – $880,000 Refinance Rental Investment Property: The Client was seeking to refinance a multi-unit residential investment property that they recently renovated and is rented via AirBnb. We were able to secure traditional financing with a strong fixed rate. 4/2018 – $546,000 Refinance Rental Investment Property: The Client was seeking to refinance a multi-unit residential investment property that they recently renovated and is currently leased via AirBnb. We were able to secure traditional financing with a strong fixed rate. 3/2018 – $560,000 Refinance Apartment Building: The Client was seeking to refinance a 20-unit apartment building and buy out their partners ownership interest in the property. We were able to secure a reasonable rate and term to facilitate the refinance and fund the buy-out. 3/2018 – $200,000 Refinance Mixed-Use Property: The Client was seeking to refinance a mixed-use restaurant and residential apartment building. They were in foreclosure from their lender due to some credit issues. We were able to secure financing with a traditional lender to complete a discounted note payoff despite those credit issues. 2/2018 – $4,200,000 Office Building Acquisition: The Client was seeking to acquire a government occupied office building as an investment property. We were able to secure a non-recourse CMBS loan term to meet the Client’s needs. 2/2018 – $450,000 Equipment Acquisition for a new Brewery: The Client was seeking to acquire equipment and fund general costs to finalize the opening of a new brewery. We were able to secure an SBA 7A loan to fund the remaining costs, including working capital needs for the new brewery. 1/2018 – $1,060,000 Refinance Commercial Property & Residential Condo: The Client was seeking to refinance an owner-occupied commercial property along with a residential condo they owned as an investment property in CA. The loan carried an existing SBA 504 mortgage. We were able to get a new lender to come in, keeping the SBA in a subordinate position, and refinance the first mortgage at a more attractive rate on a conventional basis. 1/2018 – $150,000 Commercial Bridge Loan – The Client was seeking a bridge loan to take cash out on two apartment buildings in order to complete a rehab of the properties and get new tenants in at higher market rates. We were able to secure financing to meet the Client’s needs with a private lender. 1/2018 – $5,100,000 Refinance Church & Retail Property: The Client was seeking to refinance the existing mortgage on a retail property partially occupied by their Church. We were able to secure traditional financing at a much more attractive rate and terms with flexibility to allow them to grow. 1/2018 – $310,000 Refinance Apartment Building: The Client was seeking to payoff their construction loan to an apartment building that they rehabbed and planned to hold as an investment rental property. We were able to secure an approval with a traditional lender, despite some past vacancy and credit issues. 1/2018 – $1,095,000 Finance Acquisition of 6 Commercial Condos: The Client was seeking to purchase 6 commercial office condos in bulk within a professional building as an investment. We were able to secure traditional financing at an attractive long-term fixed rate to fund the purchase. 12/2017 – $3,980,000 Refinance Industrial Property & Term Debt, Commercial Line of Credit: The Client was seeking to refinance their owner-occupied industrial property, along with consolidate business debt and provide some fresh working capital to meet business needs. The company was struggling from tight cash flow on a conventional basis and a recent bad year of operations. We were able to secure an SBA 7A loan approval to complete a refinance and consolidation of all debt, extending the amortization and greatly improving the Borrower’s cash flow. 12/2017 – $515,000 Refinance Owner-Occupied Industrial Property & Buy Out Business Partner: The Client was seeking to refinance the existing mortgage on their owner-occupied industrial property, along with buyout their partner’s ownership interest in the property and business, consolidate debt and obtain a new commercial line of credit to meet working capital needs. We were able to secure an SBA 7A approval to facilitate all of the Client’s needs with 100% financing. 12/2017 – $450,000 Finance Acquisition of Owner-Occupied Commercial Property: The Client was seeking to execute his lease to purchase option on a commercial property they had operated their franchised restaurant from. We were able to secure traditional financing at an attractive rate and meet the time constraints the Client was under to close within 60 days or lose their option. 12/2017 – $1,830,000 Refinance Commercial Property: The Client was seeking to refinance the loan on their property along with cash out to fund construction costs to expand the property they operated out of. We were able to secure an approval at a reasonable rate with only 10% cash equity in utilizing the SBA 504 loan program to facilitate the request and meet the Client’s needs. 12/2017 – $3,050,000 Refinance Retail Center: The Client was seeking to refinance his multi-unit retail investment property due to an existing loan maturity. We were able to secure an approval at an attractive rate with a traditional lender to meet the Client’s needs. 12/2017 – $2,240,000 Finance a new Restaurant & Brewery: The Client was seeking an SBA 504 loan to complete construction and open a new restaurant and brewery. We were able to secure the financing needed at a reasonable rate to meet the Client’s needs while minimizing required cash equity into the project. 11/2017 – $600,000 Commercial Line of Credit: The Client was seeking a commercial line of credit to fund the working capital needs of their retail business after being asked to leave their existing bank. We were able to secure a low rate operating line of credit to meet the Client’s needs and advance rates that work for the client with a traditional bank. 11/2017 – $1,860,000 Refinance Owner-Occupied Commercial Property: The Client was seeking to refinance the existing mortgage on their owner-occupied commercial property, along with take some cash out to pay down outstanding business debt. We were able to secure traditional financing at an attractive rate leveraging 75% of the value of the property to pay down business debt with a traditional bank. 11/2017 – $600,000 Term Loan to Consolidate Debt: The Client was seeking a new commercial term loan in order to pay off their existing line of credit balance, freeing up future availability and allowing them to term out debt. We were able to secure financing at a fixed rate utilizing equipment as collateral with a traditional bank. 11/2017 – $410,000 Refinance Owner-Occupied Commercial Property: The Client was seeking to refinance the commercial property owner-occupied by their business. They were being pushed out of their existing bank due to issues during the downturn and concerns over their loan to value. We were able to secure traditional financing at a reasonable rate with a traditional bank to complete the refinance. 10/2017 – $8 million Bridge Loan / Note Purchase Office Building: The Client was seeking to refinance an existing note purchase loan, that was used to purchase a loan secured by a commercial office building. The Borrower was seeking to buy additional time to clean up some legal issues related to the property and sell the property. We were able to secure a bridge loan at a better rate then the Borrower currently had. 10/2017 – $150,000 Mixed-Use Property Acquisition: The Client was seeking to purchase a mixed-use retail and residential building as an investment property. We were able to secure an approval for 100% of cost financing via a traditional bank loan to facilitate the transaction by also doing a loan on another single family investment property the client owned. 10/2017 – $105,000 Refinance Single-Family Investment Property: The Client was looking to refinance a single-family investment property he had just stabilized in the last several months to provide cash for 100% financing for a mixed-use property acquisition. 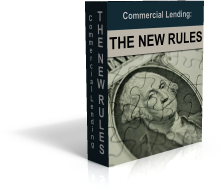 We were able to get an attractive fixed rate loan with a traditional bank lender done. 10/2017 – $695,000 Refinance Business Debt & Fund Working Capital: The Client was seeking to consolidate existing business debt, along with fund working capital to grow their business. The client did not have a year of stabilized cash flow to support the new loan, and we were able to get the loan done utilizing the SBA 7A loan program based on projections. 10/2017 – $1,300,000 Construction Loan: The Client was seeking a construction loan to complete Phase 1 of a new retail building. Only 50% of the units were pre-leased. We were able to secure the construction loan the Client needed with a traditional bank lender at a reasonable rate to meet their needs, with a conversion option into permanent financing once construction is complete. 10/2017 – $365,000 Business Acquisition: The Client was seeking to acquire a distribution and manufacturing business from an inactive owner of the company where they currently work. The client only put 10% down on the purchase. We were able to secure an SBA 7A loan to facilitate the acquisition of the business. The loan was fully secured by business assets, the majority of which was goodwill. 9/2017 – $696,000 Business Acquisition & Commercial Line of Credit: The Client was seeking to acquire a home healthcare business. We were able to obtain an SBA 7A loan to facilitate the acquisition, along with a $100,000 commercial line of credit to meet working capital needs. Collateral was all business assets, and the business assets were primarily made up of goodwill / value of the business. The client used a self-directed IRA to fund their equity into the purchase. 9/2017 – $3,000,000 Commercial Office Building Acquisition: The Client was seeking a bridge loan to fund a note purchase for an existing commercial mortgage loan secured by an office building, with the goal of getting control of the building in the future. We were able to secure a bridge loan at a reasonable bridge loan rate to fund this note acquisition financing at 75% of the purchase price. 8/2017 – $650,000 Refinance Apartment Building: The Client was seeking to refinance a 10-unit apartment building to pull out cash to reimburse themselves for rehab costs to the property and to utilize for future property acquisitions. We were able to secure an approval for a new commercial mortgage to meet the Client’s needs at a very attractive rate with a traditional bank lender, despite the fact the property had only been stabilized with current cash flow for the last year. 8/2017 – $233,000 Equipment Financing: The Client was seeking to acquire three new trailers for their trucking business. We were able to secure the financing needed to acquire the additional equipment and meet the Client’s needs, despite high levels of existing debt, utilizing an SBA 7A loan providing 100% financing on the acquisition. 7/2017 – $210,000 Industrial Warehouse Acquisition: The Client was seeking to purchase an industrial warehouse to operate their business from. We were able to secure an SBA 7A loan to facilitate the acquisition of the property providing 90% financing on the acquisition. 6/2017 – $500,000 Funeral Home Financing: The Client was seeking to refinance the existing loan on their owner-occupied funeral home to payoff a private lender. The client had some credit issues that needed to be resolved. We were able to get a traditional bank loan approved on a three year term to allow the Borrower to refinance and consolidate all existing debt at a reasonable Bank rate, to provide the customer time to eventually sell the business. 6/2017 – $4,500,000 Equipment Financing: The Client was seeking to refinance and consolidate all equipment debt, as well as acquire roughly $1.2 million in new equipment to fund a new contract. Most of the existing equipment was on short-term amortizations, stressing business cash flow. We were able to use an SBA 7A loan program to refinance and consolidate all existing debt, as well as to fund 100% of the acquisition cost for all new equipment, and push the amortization out on all debt to ten-years to free up cash flow. 5/2017 – $1,800,000 Refinance Term & Equipment Debt: The Client was seeking to refinance their business and equipment debt on a multi-location specialty medical practice into one new term loan. The Client’s existing Bank was not renewing their line. We were able to consolidate all existing debt into a new SBA 7A term loan, as well as provide $250,000 in fresh working capital, pushing the amortization out on all debt to ten-years to help improve cash flow. 5/2017 – $600,000 Real Estate Portfolio Acquisition: The Client was seeking a bulk residential mortgage to facilitate the acquisition of a real estate portfolio of 10 single-family rental properties. We were able to secure a loan approval with a traditional bank to fund the acquisition of the portfolio. The portfolio had only had stabilized rental income for one-year with the seller. 5/2017 – $250,000 Refinance & Purchase of Commercial Office Condo: The Client was seeking to refinance their existing office condo, along with purchase the unit next door to expand their business. We were able to secure 100% financing for the new approval by using an existing condo unit as collateral, and get a reasonable rate with a traditional bank. 5/2017 – $550,000 Commercial Line of Credit: The Client was seeking a commercial line of credit utilizing multiple investment properties owned free and clear as collateral to start a new restaurant franchise. He had only owned the properties for about a year and did not have long-term rental income, and the restaurant was done purely based on projections. We were able to secure the financing necessary to meet the Client’s needs with a traditional bank loan at an attractive fixed rate. 4/2017 – $900,000 Refinance Retail Centers: The Client was seeking to refinance two retail shopping centers along with transfer ownership of the properties between family members. We were able to secure financing at a reasonable rate with a traditional bank loan. 4/2017 – $216,000 Commercial Shopping Center Acquisition: The Client was seeking to purchase a 4-unit commercial shopping center for investment purposes. The property had only been recently stabilized by the seller. We were able to secure an approval at a reasonable fixed rate with a Community Bank lender. 4/2017 – $200,000 Apartment Building Acquisition: The Client was seeking to acquire a 5-unit apartment building for investment purposes. The Borrower had some past credit issues and struggled to evidence personal cash flow. We were able to secure an approval at a reasonable rate with a traditional bank lender, providing sufficient additional cash in the loan proceeds for the client to clean up their credit issues. 3/2017 – $100,000 Business Start-Up: The Client was seeking financing to start a new exercise business. We were able to secure an SBA 7A loan approval to meet the Client’s needs. 3/2017 $364,500 Office Condo Acquisition: The Client was seeking to acquire a commercial office condo to be owner-occupied by their personal training business. We were able to secure an approval via an SBA 7A loan to fund 90% of the purchase price for the condo. 3/2017 – $130,000 Refinance Commercial Property: The Client was seeking to refinance the existing mortgage on their commercial property with cash out to build a garage on the property. The client had some previous year cash flow issues making getting a loan a bit of a challenge. We were able to secure an approval at a reasonable fixed rate with a Community Bank to fund the transaction. 3/2017 – $105,000 Commercial Line of Credit: The Client was seeking to refinance several investment properties and utilize them as collateral for a working capital line of credit for their business. The client had only owned the properties for a short period of time and did not have much cash flow history, but we were still able to get a Community Bank to put the line in place at a reasonable rate. 3/2017 – $600,000 Industrial Warehouse: The Client was seeking to acquire a 9-unit industrial warehouse as an investment property and to be partially owner-occupied (less than 20% owner-occupied). We were able to secure a mortgage loan with a community Bank to fund the acquisition at a reasonable fixed rate. 3/2017 – $350,000 Multi-Family Apartment Building: The Client was seeking cash out on an apartment building owned free and clear to utilize for future investment opportunities. The client had just purchased the property the year before and did not even have a full year of stabilized cash flow. We were able to get a solid fixed rate approved with a Community Bank to refinance the property and get the cash-out. 2/2017 – $950,000 Commercial Mortgage and Business Debt Refinance: The Client was seeking to refinance the existing commercial building mortgage on their owner-occupied building, along with consolidate all business debt. The business had been purchased less than two years prior and there was not even a full tax year of historical cash flow to support the loan. In addition the property only accounted for about $550,000 of the collateral value. We were able to secure a loan with an extended amortization by bringing in personal residences as additional collateral with a Community Bank at a strong fixed rate to refinance and consolidate all existing debt. 2/2017 – $250,000 Investment Real Estate Refinance: The Client was seeking to refinance and consolidate two investment real estate mortgages into one loan. Both properties were recent acquisitions and did not have long-term stabilized cash flow. We were able to secure an approval at a solid fixed rate with a Community Bank. 2/2017 – $150,000 Business Loan Refinance: The Client was seeking to refinance the existing business debt of their business. The business had limited history. We were able to secure an approval at a reasonable fixed rate with a Community Bank lender. 1/2017 – $594,000 Refinance Fast-Food Restaurant: The Client was seeking to refinance the original debt from opening a fast food restaurant. We were able secure an approval at a reasonable rate to facilitate the request and meet the Client’s needs. 1/2017 – $410,000 Finance New Fast Food Restaurant: The Client was seeking to finance the opening of an additional location of their fast food restaurant. We were able to secure an approval at a reasonable rate to facilitate the request and meet the Client’s needs. 1/2017 – $2,400,000 Apartment Building Loan: The Client was seeking to refinance an existing apartment building that had seller financing on it. The Client is made up of partners that are all foreigners, and none of them live within the United States. We were able to get an approval with a national CMBS lender to fund a refinance of the property at an attractive long-term rate, despite the fact the owners of the Borrower were not U.S. citizens. 1/2017 – $3,240,000 Bridge Loan: The Client was seeking to payoff a builder loan for two new spec. homes they intended to sell. The Client did not evidence historical cash flow to repay the debt on their own without a sale of the properties. The Client was at risk of losing both houses if he did not payoff the builders. We were able to bring a bridge lender to the table to finance the payoff of the builders into a bridge loan secured by both properties and the Client’s existing residence, in essence providing 100% financing, and providing the client time to sell the new spec. homes. 12/2016 – $100,000 Apartment Building Acquisition: The Client was seeking to acquire a 6-unit apartment building for investment purposes. The property had a high level of vacancy and needed to be turned around after acquisition. We were able to secure a fixed rate with a Community Bank to fund the transaction. 12/2016 – $276,300 Apartment Building Acquisition: The Client was seeking to purchase a 9-unit apartment building as an investment property. The Client has multiple members and was looking to limit the guaranty exposure. We were able to secure a fixed rate loan with a Community Bank with limited guarantees from the principals. 12/2016 – $700,000 Car Wash Acquisition & Conversion: The Client was seeking to acquire a former car wash property to convert into an auto repair shop. We were able to secure an SBA 7A loan approval to facilitate the acquisition and cover construction costs to complete the conversion of the property. The loan covered 90% of total cost for the project. 12/2016 – $790,065 Industrial/Commercial Property Acquisition: The Client was seeking to purchase an industrial/commercial property to renovate and partially owner-occupy. We were able to obtain an SBA 7A loan approval to facilitate the acquisition of the property and cover construction costs to renovate the property. 11/2016 – $1,275,000 Business Acquisition: The Client was seeking to acquire a Medical Equipment Company, along with obtain additional funds to meet working capital needs after acquisition. Utilizing the SBA 7A loan program we were able to get financing in place for 85% of the purchase price, as well as an additional $150,000 in working capital to fund the purchase. The loan was secured by all business assets but the main asset was goodwill of the company being purchased. We were able to get this loan approved despite the fact the buyer did not have any direct industry experience. 11/2016 – $250,000 Bridge Loan: The Client was seeking cash out on an investment property owned free and clear to finish construction of two new homes he was building. We were able to get a bridge loan approved with a private lender to finish funding the construction of the new homes. The properties the Client pledged were recent acquisitions of single-family homes for rehab and flip, so there was no rental income to support the loan. 11/2016 – $52,000 Single Family Residential Rental Property: The Client was seeking to purchase a SFR located next to their existing grocery store business. We were able to secure an approval for a new commercial mortgage loan at a reasonable rate for the Client with a Community Bank. 11/2016 – $3,570,000 Business & RE Acquisition: The Client was a long-term employee of a Boat repair and sales business and was seeking to acquire not only the business, but the property that it operated from as well. We were able to secure an SBA 7A loan to facilitate the acquisition of the business and real estate. The loan included roughly $500,000 in working capital to support the business going forward, and the Borrower only had to put 10% down on the purchase. 10/2016 – $350,000 Commercial Property Acquisition: The Client was seeking to acquire a former animal hospital in order to open a new veterinary clinic. We were able to secure an SBA 7A loan to facilitate the acquisition and rehab of the property for a new veterinary clinic. 10/2016 – $542,250 Apartment Building Acquisition: The Client was seeking to purchase a 6-unit apartment building as an investment property. They client worked internationally, and although he was a U.S. citizen, spent limited time in the U.S. We were able to secure 75% financing on the acquisition with a Community Bank at an attractive fixed rate. 10/2016 – $6,250,000 LOC, Commercial Property Refinance & Commercial Property Acquisition: A growing company was seeking a new lender relationship to facilitate an increase in their export line of credit and domestic line of credit, along with refinance the mortgage on their existing owner-occupied commercial property. The existing lender had decided to exit the relationship due to market concerns over the fact the company sold recycled metals, primarily into Asia. We were able to secure a full new relationship with a Community Bank at much more attractive terms then the existing lender had. The approval included an SBA import/export guaranty on the line of credit, a traditional domestic line of credit, and a commercial mortgage loan on an owner-occupied commercial property. 10/2016 – $467,000 Business Acquisition: The Client was seeking to acquire a home healthcare business. We were able to secure an SBA 7A loan to fund 90% of the acquisition cost of the business. Although the Borrowers had industry experience, they were young with very little in the way of assets to back the loan outside of the goodwill value of the business. 9/2016 – $280,000 Investment Property Acquisition: The Client was seeking to acquire a parking lot to be used for truck parking. Although the Client owned another business, this would be a new business venture for the Client and they had to make extensive improvements to the property to meet City requirements. We were able to secure financing from a Private Lender to facilitate the acquisition of the property to allow the Client time to get truck leases in place to eventually refinance the property into a more traditional mortgage loan. 9/2016 – $260,000 Office Condo Acquisition: The Client was seeking to purchase a 2-unit office condo for investment purposes. This was the Clients first foray into investment real estate. We were able to secure a commercial mortgage approval at a reasonable fixed rate with a Community Bank. 9/2016 – $210,000 Refinance Residential Townhome: The Client was seeking to refinance the construction loan on a residential townhome acquired to be an investment rental property through AirBnb with really no income history as the property had just been rehabbed and they had just started leasing it via Airbnb. We were able to secure traditional financing with a Community Bank lender at an attractive fixed rate to refinance the construction loan. 9/2016 – $220,000 Apartment Building Acquisition: The Client was seeking to purchase a 6-unit apartment building for investment purposes. Despite some credit issues, we were able to obtain an approval for a new commercial mortgage to facilitate the Client’s acquisition. 8/2016 – $572,250 Commercial Office Building: The Client was seeking to acquire a commercial office building to move their home healthcare business into. Despite coming off of a rough financial year, we were able to secure an approval at a reasonable rate to meet the Client’s needs. 8/2016 – $221,000 Rehab & Flip Loan: The Client was seeking a construction loan to facilitate the rehab and flip of a residential property. We were able to secure a reasonable rate with one of our private fix and flip lenders to allow the client to purchase and rehab the property. 8/2016 – $237,000 Refinance SFR Investment Properties: The Client was seeking to refinance two single-family home investment properties. We were able to secure an approval with a traditional lender to meet the Client’s needs. 8/2016 – $212,000 Refinance SFR Rehab Properties: The Client was seeking to refinance two single-family home properties that were almost done being rehabbed. We were able to secure an approval with a traditional lender to facilitate the refinance of these properties, despite the fact the Client was just now finishing the rehab and there was not historical cash flow to support the loan (it was all projection based). 8/2016 – $750,000 Investment Property Acquisition: The Client was seeking to acquire a commercial landscaping yard as an investment property. The tenant was selling the property and planned to lease it back. This was the Client’s first investment in a commercial property (although they already had a single-family investment property). We were able to secure an approval to facilitate the acquisition and meet the Client’s needs. 8/2016 – $318,750 Mixed-Use Property Acquisition: The Client was seeking to purchase a mixed-use office and residential apartment building as an investment property. We were able to secure an approval for traditional financing via a Community Bank to fund the transaction, despite the fact this was the first such investment property this Client had purchased. 8/2016 – $1,600,000 Investment Real Estate: The Client was seeking to refinance a commercial property occupied by a Walgreens. We were able to secure a very attractive long-term fixed rate with a Regional Bank, despite the fact the remaining lease term was only five-years. 8/2016 – $1,000,000 Multi-Family Apartment Acquisition: The Client was seeking to purchase 4 multi-family townhouse apartment buildings. We were able to secure an approval with a Regional Bank to facilitate the acquisition and meet the Client’s needs. 8/2016 – $2,400,000 Mixed-Use Retail Apartment Building: The Client is a real estate investor who owns numerous multi-family investment properties. The current loan on one of the Client’s properties was set to mature, and now that a new bank had taken over they were not interested in renewing the loan long term. The Client had some credit issues and tenant issues at the property, so cash flow was tight and traditional lenders were not interested in providing the financing. We were able to get a bridge lender to step in and provide an interest only eighteen-month loan to provide the Borrower time to fix the cash flow issues to refinance with a more traditional Bank lender. 7/2016 – $750,000 Industrial Property & Business Debt Refinance: The Client was seeking to refinance the existing mortgage on their owner-occupied industrial property, along with paying off their SBA loan, equipment debt and line of credit. The Client’s existing Bank had decided to exit the relationship at maturity due to some past payment issues when business had slowed in the past. We were able to secure an SBA 7A loan to facilitate the refinance of all of the Client’s debt into a new long-term loan with a 25-year amortization, greatly improving cash flow for the Client. 6/2016 – $412,500 Apartment Building Acquisition: The Client was seeking to purchase a 10-unit apartment building as an investment property. There were multiple investors and the Client was looking for guarantees limited to each investor’s ownership interest. We were able to secure an approval with a Community Bank at an attractive fixed rate with guarantees limited to each owner’s interest in the property. 6/2016 – $740,000 Industrial Warehouse: The Client was seeking to acquire a 7-unit industrial warehouse as an investment property to be partially owner-occupied. We were able to secure a strong fixed rate loan with a Community Bank to fund the acquisition. This was the first such investment property for the Borrowers, and their business was going to occupy less than 20% of the building. 6/2016 – $3,500,000 Hotel Refinance: The Client was seeking to refinance a hotel with additional cash out to reimburse the other business partners for out of pocket costs associated with renovating the hotel and converting it to a popular hotel chain. We were able to secure a strong fixed rate with a National CMBS lender to fund the refinance and provide substantial cash-out on the property. 6/2016 – $731,250 Owner-Occupied Industrial Building: The Client was seeking to acquire a commercial / industrial building to relocate his trucking business to from another state. The building ended up not appraising out to the full purchase price, however we were able to negotiate a higher advance rate on the purchase and still get the financing done with a Community Bank despite a past bankruptcy for one of the owners. 6/2016 – $900,000 Funeral Home Financing: The Client was seeking to refinance an existing funeral home that the seller had financed, along with purchase a new funeral home property and business. The Client had some past credit issues. We were able to secure a new commercial term loan with a Community Bank to refinance the existing debt and fund the acquisition of the new business and property, with very little equity down. We were able to utilize as the down payment the equity in the existing funeral home owned by the Borrower. 5/2016 – $1,000,000 Land Contract Purchase: The Client was seeking to obtain financing to finalize the land contract purchase of a gas station. We were able to secure financing with a private lender to facilitate the request and meet the Client’s needs. 5/2016 – $1,000,000 Commercial Restaurant: The Client was seeking to refinance two commercial restaurant properties, along with finance the build-out of the most recently acquired restaurant property. We were able to secure a loan with a conventional bank to refinance the existing debt and provide the cash-out necessary to fund the build-out and start-up of the second restaurant location. 5/2016 – $170,850 Residential Rehab & Flip: The Client was seeking to purchase a townhome via a short sale in order to rehab and flip the residential property. We were able to secure a 6-month construction loan approval with a fix & flip lender to acquire and rehab the property. 5/2016 – $4,100,000 Sports Complex Refinance: The Client was seeking to refinance their maturing loan on a large sports complex facility. The Client was struggling to find a lender to refinance the loan due to the special-use nature of the property. We found a community bank to refinance the loan at an attractive fixed rate with a reasonable term and amortization. 5/2016 – $250,000 Residential Condo Building: The Client was seeking to refinance an 8-unit residential condo building, along with taking some cash out to put towards building their new primary residence. The Borrower had purchased all of the condo units separately and was seeking to de-convert the building from a condo building back to an apartment building. We were able to secure a new commercial mortgage loan at a reasonable rate with a Traditional Bank for the client. 5/2016 – $320,000 Business Acquisition: The Client was seeking to acquire a business from a retiring owner that had been in business for over 30 years. We were able to secure an SBA 7A loan at a reasonable rate to finalize the acquisition. 5/2016 – $860,000 Mixed-Used Property Acquisition: The Client was seeking to purchase a 3-unit mixed-use property for investment purposes. The Client was struggling to find a lender that could fund the transaction quickly. We were able to secure a new commercial mortgage loan at a reasonable rate for the Client with a Regional Bank that could close quickly to meet a tight deadline. 4/2016 – $82,500 Multi-Family Apartment Building: The Client was seeking to purchase a 6-unit multi-family apartment building that needed some substantial rehab work. We were able to secure a new commercial mortgage loan at a reasonable rate for the Client to complete the acquisition and rehab of the property with a Community Bank. It was the Client’s first acquisition of this type of property. 3/2016 – $14,800,000 Construction Loan: The Client was seeking to finance the construction of a new large retail shopping center that was roughly 50% pre-leased. We were able to secure an approval for a construction loan with an end-loan option at a very attractive short-term rate to fund the construction of the property. Due to equity the Borrowers already have in the property and project, the Bank was funding 100% of remaining construction costs. 3/2016 – $500,000 Guidance Line: Our Clients were seeking a guidance line for the purpose of acquiring and flipping residential investment properties. They operated with cash on hand and were able to flip 3 to 5 properties per year. We were able to secure a $750,000 guidance line with one of our fix and flip lenders to enable them to grow their business and be able to flip 6 to 8 properties per year. 3/2016 – $2,000,000 Commercial Line of Credit: The Client was seeking to replace an operating line of credit for his electric company, which had matured at another bank. The Bank was not interest in renewing the loan due to the quick growth the business was seeing. We were able to secure an approval for a $3,000,000 operating line of credit for the Client with a Regional Bank to continue to fund the growth for the company. 2/2016 – $1,400,000 Hotel Refinance: The Client was seeking to refinance the existing mortgage on a Hotel owned by several partners. The Client was looking to reduce their existing interest rate and also get cash-out to potentially use in other investments. We were able to get an approval for an attractive fixed rate with a Regional Bank. 2/2016 – $300,000 Multi-Family Apartment: The Client had rehabbed a 3-unit apartment building owned free and clear and was looking to obtain cash out from the property to utilize towards future investment properties. We were able to secure a 5-year fixed commercial mortgage loan at a reasonable rate for the Client, with 100% of the loan proceeds cash-out going back to the Client for future investment property acquisitions. 2/2016 – $225,000 Office Building: The Client acquired a vacant office building in need of repair. They were seeking a commercial bridge loan to allow them time to complete improvements and lease the property in order to secure traditional financing. We were able to secure a short-term approval with a traditional bank to fund the costs necessary for them to rehab the property. 2/2016 – $200,000 Commercial Line of Credit: The Client was seeking a commercial line of credit for a new holistic wellness center to fund working capital and growth of the business. We were able to secure a low rate operating line of credit to meet the Client’s needs. 1/2016 – $1,875,000 Single Family Investment: The Client was seeking to purchase multiple lots as an investment for the future construction of single-family homes. We were able to secure an approval with a private lender to facilitate the acquisition of the lots and provide for future construction. 1/2016 – $1,620,000 SBA 7A Loan: The Client was seeking to purchase a bar/restaurant property that they planned to rehab and open under a new concept. In addition, they were seeking a working capital line of credit to meet operating needs during the construction and opening of the restaurant. We were able to secure an SBA 7A loan to fund the acquisition and rehab of the property, as well as provide roughly $100,000 in working capital to fund operating costs during the first year. 12/2015 – $6,100,000 Residential Investment Portfolio: The Client was seeking to refinance two existing term loans on a residential investment real estate portfolio. The portfolio had only been owned by the Client for a couple of years and included some cash out. We were able to secure an approval with a National CMBS lender to fund the refinance and cash-out of the portfolio at an attractive fixed rate. 12/2015 – $380,000 Business Acquisition: The Client was seeking to acquire an electronics software and development business upon the retirement of the founder. The Client has experience in a similar business. We were able to secure 85% financing on the purchase via an SBA 7A loan. 12/2015 – $135,000 Office Property Acquisition: The Client was seeking to purchase a home that was zoned commercial to move their small business operations to. We were able to secure a new commercial mortgage at a reasonable rate with a Community Bank to fund the acquisition of the property for them. 12/2015 – $4,000,000 Commercial Line of Credit: The Client was an export company seeking a line of credit to meet the working capital needs of the business and fulfill large-scale orders of the company. The Client owned a large office building free of debt that had recently been purchased, rehabbed, and leased. We were able to secure a low rate operating line of credit to meet the Client’s needs utilizing that property as collateral, despite the lack of long-term ownership and cash flow history on the property. 11/2015 – $250,000 Commercial Line of Credit: The Client was seeking a new commercial line of credit to meet the working capital needs of a new division of their manufacturing company. We were able to secure a low rate operating line of credit to meet the Client’s needs. 11/2015 – $340,000 Owner-Occupied Industrial Condo Refinance & LOC: The Client was seeking to refinance two industrial condos that they operated several businesses out of, as the existing loan was set to mature. We were able to secure a new $265,000 commercial mortgage to facilitate the refinance, along with a $75M commercial line of credit to fund the working capital needs of the Client’s businesses. 11/2015 – $165,000 Owner-Occupied Mixed-Use Building: The Client had recently acquired a mixed-use property that at the last minute their lender fell through, forcing them to close on the property with a private lender or lose a large earnest money deposit. We were able to secure a new commercial mortgage loan to at an attractive fixed rate with a Regional Bank, allowing the Client to payoff the high rate hard money lender. 11/2015 – $950,000 Gas Station Refinance: The Client was seeking to refinance the existing mortgage on their gas station. The loan was set to mature, and they were only being offered a short-term refinance by their existing lender. In addition, the Client was seeking additional funds to facilitate upgrading the fuel tanks and expanding the current fuel capacity. We were able to secure an SBA 7A loan approval for the Client to facilitate the refinance and improvements to their gas station. 10/2015 – $285,000 Residential Rehab & Flip: The Client was seeking to acquire a 3-unit residential property to rehab and flip. We were able to secure a reasonable rate and term to meet the Client’s needs. 10/2015 – $248,000 Owner-Occupied Commercial Property: The Client was seeking to take out a mortgage on the owner-occupied commercial property they owned free and clear, for the purpose of future of investment opportunities. We were able to secure a loan approval to facilitate the cash out on the property with a Regional Bank. 10/2015 – $1,200,000 Apartment Loan: The Client was seeking to refinance an 18-unit apartment complex with additional cash out to buy out a partner. We were able to secure an approval at a reasonable rate to facilitate the refinance with a specialty apartment building lender. 10/2015 – $10,500,000 Bridge Loan / Note Purchase: The Client was seeking to finance a note purchase of a commercial loan on a large office building. The property had been mismanaged by a former property manager, who had put the property into Bankruptcy. We were able to secure bridge loan to finance the note purchase, allowing the underlying owners to get back control of the property, dismiss the Bankruptcy, and work on a long-term refinance of the property. The property had multiple lawsuits, second mortgages, and other issues that needed to be cleared up. 10/2015 – $4,400,000 Refinance 2 Apartment Buildings: The Client owned multiple apartment buildings. Several loans were maturing and the existing lender was not interest in renewing the loans due to some past building violations, low credit score of the principal, and inconsistent reported cash flow for the properties. We were able to secure financing to refinance the buildings and cover all closing costs with a specialty multi-family lender. 9/2015 – $220,000 Refinance OO Industrial Building: The Client was looking to refinance an owner-occupied industrial building after completing a build out of the space. A portion of the proceeds were going to consolidate other business debts the Client had. The Client’s credit had been negatively impacted by market conditions and business cash flow had been negative historically. We were able to secure a loan approval at a reasonable rate with a Community Bank to consolidate all existing debt. 9/2015 – $800,000 Refinance Apartment Complex: The Client was looking to refinance a 65-unit apartment complex, along with take some additional cash out to buy out a limited partner. We were able to secure a loan approval at a reasonable rate with a national Multi-family lender. 9/2015 – $138,000 Mixed-Use Property: The Client was looking to purchase a mixed-used commercial / apartment building to be partially owner-occupied by his professional data management and wiring company. We were able to secure a competitive rate with a Community Bank to fund the purchase. 8/2015 – $500,000 Multi-Family Property: The Client was seeking to refinance a 12-unit multi-family property with cash out to make improvements to the property. We were able to secure a reasonable rate and term with a traditional lender to refinance the property and provide the cash-out necessary to rehab the property. 8/2015 – $1,100,000 Gas Station Refinance: The Client was seeking to refinance their existing commercial mortgage that was set to mature on two gas station properties that they owned. The Client had only owned the gas stations for a limited time, so there was not a long operating history. We were able to get a conventional bank loan done at a reasonable fixed rate to allow the Borrower to refinance both gas stations. 7/2015 – $6,000,000 Mixed-Use Retail & Residential: The Client was seeking to refinance a recently rehabbed mixed-used property that contained first floor commercial and 24 high-end apartments upstairs. The Client had just completed construction and needed to refinance a large construction loan, and had not yet fully stabilized the property. In addition, the Client was a foreign national. We were able to secure a loan approval at a reasonable rate and term with a National multi-family lender. 7/2015 – $2,400,000 Office Building: The Client was seeking to refinance a three-story medical office building. The Client was getting pushed out of their existing Bank. They only had one tenant at the time, but three additional tenants that had executed leases, but large tenant build-outs needed to be completed. We were able to secure a commercial mortgage loan at a reasonable fixed rate with a Regional Bank to allow the Client to complete the tenant build-out and get the new tenants in place. 7/2015 – $1,500,000 Line of Credit & Commercial Building: The Client was seeking replacement financing for their existing line of credit, along with looking to refinance their owner-occupied commercial building. The Client’s existing lender was not interested in doing long-term financing after the owner went through a divorce and had a few rough years financially as a direct result of the divorce. We were able to secure a new lender relationship with a Community Bank with attractive rates to refinance the existing mortgage loan and provide a new line of credit to fund business growth. 7/2015 – $220,000 Purchase Multi-Family Apartment Building: The Client was seeking to purchase a 6-unit apartment building for an investment property. The Client had just returned from several years abroad and had limited personal income. We were able to secure a reasonable rate on a commercial mortgage loan with a Community Bank. 7/2015 – $458,000 Mixed-Use Property Acquisition: The Client was seeking to purchase a 5-unit mixed-use building as an investment property and planned to occupy one of the units with their real estate business. We were able to secure an approval from a Regional Bank to facilitate the acquisition at 80% financing and with an attractive fixed rate. 7/2015 – $400,000 Business Purchase: The Client was seeking to purchase a small business. We were able to secure 100% financing for the business acquisition by having the Guarantors pledge equity in their residences via a loan with a Regional Bank on a longer 10-year amortization. 6/2015 – $5,400,000: The Client was seeking to refinance two existing hotels that sat on one property. The existing lender was pushing the Client out of the Bank, and they needed to secure replacement financing quickly. We were able to secure a bridge loan with a Private Lender to refinance the hotel properties and provide the Borrower time to find more conventional financing. 6/2015 – $400,000 Dunkin Donuts: The Client was seeking to refinance a commercial / retail building occupied by Dunkin Donuts. The existing term on the lease was set to expire shortly, but there were options that it was anticipated the tenant would execute. We were able to secure a five-year fixed rate commercial mortgage with a Regional Bank to refinance the property. 6/2015 – $900,000 Apartment Building: The Client was seeking a traditional commercial mortgage loan to payoff the construction loan on a newly constructed 4-unit apartment building. The building had just been stabilized, so there was not long-term historical cash flow to support the loan (the loan was based on projections). We were able to secure an approval with a Regional Bank at an attractive fixed rate. 6/2015 – $150,000 SBA 7A Loan: The Client was seeking to finance the buy-out of a Dairy Queen franchise, along with refinance the existing term loan for the business. We were able to secure 100% financing to fund the partner buy-out and the refinance of the existing business debt utilizing an SBA 7A loan and the Client’s existing equity in the business. 5/2015 – $1,360,000 SBA 504 Loan: The Client was seeking to purchase a commercial/industrial property to be owner-occupied by their trucking business. We were able to secure financing to complete the acquisition utilizing an SBA 504 loan, which also provided money to improve the property after acquisition, allowing the Client to move into the new space and continue to grow theit business. 5/2015 – $180,000 Retail Center: The Client was seeking to finance the purchase of a 3-unit commercial investment property. This was the first property of this type for the Client. We were able to secure a commercial mortgage loan at a reasonable rate with a Regional Bank to fund this purchase. 4/2015 – $1,200,000 Apartment Building Refinance: The Client was seeking to obtain a new commercial mortgage loan to facilitate the refinance of the loan on a newly constructed apartment building. The building had just been stabilized and there was no historical cash flow to support the loan. We were able to secure an approval to facilitate this refinance at an attractive fixed rate with a Regional Bank. 4/2015 – $4,000,000 Bridge Loan / Note Purchase: The Client was seeking to finance a note purchase to acquire a commercial mortgage loan on an office building the Client used to have an interest in. The property had been improperly managed by the new owner, and that owner had defaulted on the loan. The previous owner decided to purchase the note to force the current owner out. We were able to secure a bridge loan to facilitate the note purchase to allow the previous owner to get control of the property, with the hope of selling the property for a profit at a future date. 4/2015 – $116,600 Owner-Occupied Commercial Building: The Client was seeking to refinance their partially owner-occupied commercial building. We were able to secure an approval with a Regional Bank at an attractive fixed rate to facilitate this refinance. 4/2015 – $185,760 Office Condo Acquisition: The Client was seeking to purchase a commercial office condo to be owner-occupied by their insurance business. We were able to secure an approval with a Community Bank with an attractive fixed rate. 3/2015 – $500,000 Commercial Line of Credit: The Client was seeking a new commercial line of credit for their mailing business. We were able to secure a reasonable floating rate with a Community Bank to meet the Client’s needs. 3/2015 – $1,050,000 Industrial Building: The Client was seeking to refinance the existing commercial mortgage on their owner-occupied industrial building for their mailing business. We were able to secure a competitive fixed rate with a Community Bank to refinance the property at 75% financing. 2/2015 – $360,000 Apartment Building: The Client was seeking to refinance an apartment building that was left to them after their spouse’s passing. Although tax returns were available, personal cash flow was way down due to the loss of the spouse’s income. We were able to secure an attractive fixed rate with a Community Bank to refinance the property. 2/2015 – $2,600,000 Office Building Refinance: The Client was seeking to refinance two office buildings that were held as investment properties. We were able to secure an attractive fixed rate with a Community Bank to refinance both properties. 2/2015 – $550,000 Refinance Owner-Occupied Building: The Client was seeking to refinance a partially owner-occupied property where they had a Dairy Queen franchise. We were able to get a loan approved with a Community Bank at an attractive fixed rate to facilitate the refinance. 2/2015 – $1,050,000 Day Camp: The Client was seeking to refinance a family-owned summer day camp. The business was seasonal, with operations really only about four months a year. We were able to secure a solid fixed rate from a Credit Union to facilitate a refinance of the property. 2/2015 – $1,660,000 Daycare Center: The Client was seeking to refinance two family-owned daycare centers. We were able to secure an approval to facilitate the refinance from a Credit Union at a very attractive long-term fixed rate. 1/2015 – $200,000 Business Acquisition: The Client was seeking to purchase a medical practice, along with equipment and working capital. We were able to get an approval from a National Bank to fund the acquisition with 100% financing provided under a medical lending program. 1/2015 – $1,800,000 Residential Investment Portfolio: The Client was seeking to refinance a portfolio of residential and multi-family properties, along with acquire an additional property to rehab and flip. The Client originally secured financing at several different institutions with varying maturity dates and interest rates, and was looking to consolidate the portfolio into one loan with a longer-term amortization. We were able to secure a reasonable rate to facilitate the refinance of all of the Client’s holdings into one loan with a Community Bank. 1/2015 – $1,750,000 Equipment & CLOC: The Client was seeking to refinance their existing equipment debt along with increase their line of credit for the engineering and manufacturing company. Their existing lender was pushing them out of the Bank due to the fact they tripped several covenants. We were able to secure them replacement financing at a very attractive fixed rate on their equipment debt and line of credit, and with terms that would be more flexible and allow them to fund growth going forward. 1/2015 – $4,400,000 Multi-Family: The Client’s existing lender was taken over by another Bank, which was unwilling to do more than a short-term renewal and requested the Client move their loan relationship to another institution. The Client had two multi-family properties they needed to refinance. We were able to secure a new lender to refinance the three apartment buildings owned by the Client at an attractive fixed rate. 12/2014 – $800,000 Business Line of Credit: Borrower’s exiting lender was not willing to renew their operating line of credit and was starting to amortize the line out. We were able to get a new financing package approved with a Community Bank utilizing the SBA 7A line program, and a term loan for a piece of the line. 12/2014 – $350,000 Owner-Occupied Retail Property: Client’s loan had been sold by their Bank and the buyer was refusing to renew their loan. They occupied the property and ran one of their store locations from the property. We were able to secure them a competitive fixed interest rate with a Community Bank to replace their maturing note and allow them to keep the property. 11/2014 – $8 million Asset Based Line of Credit: The Client’s business was growing and the Client needed to refinance and increase their existing line of credit to fund business growth. We were able to secure them a new line of credit with a 90% advance against A/R and a 70% advance against inventory, to fund business growth at an attractive rate with a Regional Bank. 9/2014 – $6.3 million Ski Resort: The Client was looking to refinance their existing ski resort out of an SBA 7A loan with a higher variable interest rate, and was also interested in getting additional capital to make improvements to the property. The biggest challenge for the Client was the special-use nature of the property and seasonality of their business. We were able to package a deal and appropriately show the historical financial trends to get a group of community banks to buy into the transaction and fund an attractive fixed interest rate loan for seven years on the property, and provide more than sufficient cash out to cover the Clients needs for making improvements to the property. 9/2014 – $4.5 million Apartments: The Client had two apartment building loans that were maturing and the Bank was not interested in renewing the loans due to some previous credit issues the Borrower had. We were able to get an attractive fixed interest rate loan approval in place despite the Clients credit issues with a nationwide apartment lender. 9/2014 – $720,000 Restaurant: Client was looking to refinance two restaurant properties that they owned. We were able to procure an attractive fixed market rate loan for the properties. 8/2014 – $1.125 million Industrial Building: Client was purchasing an industrial building currently in foreclosure. The building had some issues previously with income that made it a struggle for the Client to find financing. We were able to find a community bank willing to fund the transaction at an attractive fixed market interest rate. 8/2014 – $2.4 million Daycare Center Acquisition: Client was purchasing a daycare center as an investment property. The property was newly constructed with the tenant having just taken occupancy. We were able to get an attractive fixed interest rate loan approval from a regional bank to fund this purchase right after the tenant took occupancy. 6/2014 – $3.4 million Business Refinance & Acquisition: Our Client was looking to expand their existing business and purchase three additional locations for their business. However, they also had existing debt they wanted to refinance. We were able to structure and SBA 7A loan to refinance all of their existing equipment debt as well as fund the purchase of the new businesses with only 10% equity into that purchase (a portion of which came back to the Client in working capital). The biggest benefit to the Client of the new loan structure was that the amortization on all of their debt got pushed out to 12 years, substantially improving cash flow for the Client. 6/2014 – $600,000 Retail Building: Client owned a partially owner-occupied retail building they needed to refinance because their existing first mortgage was maturing and their existing lender was refusing to renew the loan. The reason the existing lender was refusing to renew the loan was due to the fact the Client’s business had gone through several rough years, and the Client had some credit issues and tax liens due to those years. We were able to restructure the debt to get all of the Client’s issues resolved, and get an approval via an SBA 7A lender to refinance the property and all other debts still outstanding that were causing issues for our Client. 6/2014 – $1.2 million Retail / Industrial Building: Client had a partially owner-occupied industrial building they were looking to refinance because the rate on their existing mortgage loan was substantially above market. However, they had a large prepayment penalty that was preventing most lenders from being able to refinance the property. We were able to structure a refinance with a repayment of the loan in a way that would avoid the prepayment penalty, and were able to find a community bank lender willing to fund the loan under our structure, which would substantially reduce the interest rate for the Client. In addition to the refinance, we were also able to secure the Client an approval for a $100,000 line of credit for their business. 6/2014 – $250,000 Mixed-Use Building: Client was looking to purchase a new retail building to move their business to. They were looking for money both to fund the acquisition and build-out. The property being purchased ended up being in a flood plain. We were able to work with a community bank lender to restructure the deal and get them a loan on another asset them own to fund this purchase at an attractive fixed market interest rate. 5/2014 – $9.8 million Retail Buildings: Client owns two big box retail buildings. The loans were maturing and the existing lender was renewing them at a substantially above market interest rate. Due to the terms remaining on the existing leases, the Client was struggling to get a more attractive rate with other lenders. We were able to structure the deal in such a way as made sense for both the Client and lender, and in doing so get an approval for a substantially reduced interest rate with a traditional bank. 5/2014 – $1.56 million Retail Building: The Client had their loan on a retail investment property sold to a private lender. The loan was maturing and the private lender indicated that they prefer not to renew the loan. There was not sufficient collateral value from the property to support the loan. We were able to work with the Client to get additional collateral pledged and get an approval to refinance the loan at a very attractive fixed interest rate. 5/2014 – $260,000 Line of Credit: Our Client’s main operating business had been strategically shrunken due to some changes in the business model that made certain business segments less profitable. However, other related business entities had been started and were growing quickly. The existing lender wanted out of the loan due to the fact the business they were lending against had shrunk. We were able to procure new financing with a community bank to help them continue to grow their business. 4/2014 – $1.1 million Construction Loan: The Client was in the process of building a partially pre-leased retail building. The Client had owned the land for many years, and we were able to procure financing for up to 100% of construction costs (with the land value as equity) for the construction of the new retail building with a community bank. 3/2014 – $430,000 Mixed-Use Building: The Client has purchased a business that was struggling on contract and immediately began operating the business. However, the building was in the process of being taken back from the Bank from the previous owner, and the Bank was threatening to sell the building out from underneath the new owner of the business. We were able to structure an SBA 7A loan to allow our Client to purchase the building, which saved the business she had acquired and turned around. The Client had little assets and ended up getting working capital back out of the transaction, leaving them with only about 5% in cash equity into the building and business acquisition. 2/2014 – $2.3MM Business Buy-out: The Client had a successful growing business and needed to buy-out his partners in order to continue growing the business. We were able to structure a leveraged business buy-out with an SBA 7A loan, allowing the Client to take out his partners. The collateral for the loan was some equipment but was primarily enterprise value, and despite a lack of available collateral we were still able to get the loan done with the SBA 7A guaranty. 1/2014 – $310,000 Industrial Building: The Client was in a tough industry and had a high interest rate private loan on their owner-occupied industrial building. They had to get that loan when their existing Bank pushed them out due to some struggles they went through with the economic downturn. We were able to bring a new community bank lender to the table that could get comfortable with the business segment the Client operated in, and closed on a refinance of their building at an attractive market fixed interest rate. 12/2013 – $1.6 million Apartment Building: The Client was being pushed out of their existing Bank due to its acquisition by another Bank under loss share. The Client had a number of previous condo conversion projects, some of which had been converted into apartment buildings and others of which were broken up with some condo sales and other units they still owned. We were able to bring a traditional bank lender to the table to refinance their one apartment building for roughly $1.2 million and to provide them with a second $400M construction loan to complete renovations on another property they own. 12/2013 – $2.5 million Apartment Building: The Client’s existing loan was maturing and was being pushed out of their existing bank due to some poor credit and some tax liens. They were not in a position where the property could be placed with a traditional bank due to the credit issues. We were able to bring a private lender to the table to give them an interest only loan for another two years to buy them time to cleanup their credit issues and flip back to traditional financing. 12/2013 – $800,000 Industrial Building: The Client was coming out of a hard money loan where the lender was threatening to take back their investment industrial building held as collateral on their loan. Because the client was not quite fully bankable yet, we were able to bring another private lender to the table to refinance the property at a much lower rate and on an interest only basis, and give the Client two additional years to get their finances in order. 11/2013 – $800,000 Apartment Building: The Client was being pushed out of their existing bank due to their bank being a loss share acquisition. The Client owned numerous investment properties, some of which were performing better than others. We were able to structure a refinance of their apartment building with a private lender but at a market interest rate, saving the property for them. 10/2013 – $400,000 Industrial Building: The Client was coming out of a work out situation between a retail building they owned as an investment and an industrial building that they partially leased and partially owner-occupied. We were able to work with them and help them reposition the retail building with their existing lender, while refinancing the industrial building out at a decent market interest rate with a traditional bank, saving that building from the cross-collateralization going forward with their retail building loan. 10/2013 – $250,000 Industrial Building: Client has a successful business in an owner-occupied industrial building, but due to the small size of their loan had a high interest rate with their existing big bank and were not happy. We were able to get the loan moved to a new bank at a substantially lower interest rate. 9/2013 – $2.4 million Retail Center: Borrower had recently come out of a struggled situation on three retail centers they owned and were currently with a bridge lender. We were able to help them restructure the deal and get them into traditional bank financing at an attractive fixed market interest rate. 8/2013 – $210,000 Church: A small community church was struggling to find a lender to work with them due to the size of their transaction. We were able to get them to the right community lender to fund a refinance of their church. 8/2013 – $690,000 Industrial Building: Client had an owner-occupied industrial building they needed to refinance. They had some issues finding a lender due to flat revenues and profits from the business and some environmental issues with the property. We were able to bring a community bank lender to the table that was able to get around the issues that existed and fund the loan at an attractive fixed market interest rate. 7/2013 – $1.75 million Multi-Property Loan: Borrower had an existing hard money loan relationship due to previous foreclosure activity with a previous lender. The loan was maturing and the hard money lender was demanding a payoff or threatened to take back the collateral properties, which included the Borrower’s residence, an owner-occupied office building, and several other investment properties. We were able to procure funding through a new bridge lender at a rate roughly 8% lower than the existing financing and buying the client 18-months to refinance or sell the collateral properties to repay the debt. 7/2013 – $320,000 Mixed-Use Building: Borrower’s existing lender was not renewing their loan, and the Borrower needed to find a new lender on their mixed-use office / apartment building. Despite several struggling years and credit that included a short-sale, we were able to get a traditional bank lender to approve a refinance of the building at an attractive fixed rate. 6/2013 – $1.82 million Multi-Family Property: We were able to procure a client with a large multi-family building cash-out financing on a fifteen-year fixed rate mortgage through Fannie Mae’s Multi-Family program at a very attractive fixed interest rate, without requiring tax returns for underwriting. 6/2013 – $165,000 Mixed-Use Building: Borrower had a mixed-use building that his previous bank had sold the loan on along with the loans on two other properties he owned to an investment fund. Despite the fact there was an agreed upon discounted payoff in place with the investment fund on the subject loan, with the client only refinancing the subject property and giving the other two properties back to the fund as part of the agreement, we were able to procure an attractive fixed rate financing on the subject building refinance with a traditional bank. 6/2013 – $430,000 Business Loan: Borrower’s existing business loan had been sold by his Bank to a private investor. We got the Borrower approved with a traditional bank and with that approval assisted the Borrower in negotiating a discounted note payoff with the investor, which the traditional bank lender was willing to fund, saving the client roughly $150,000 in principal. 6/2013 – $1.25 Million Industrial Building: Borrower owned an existing industrial building that the existing lender was foreclosing on due to non-renewal. Even though the building was vacant, due to the fact the Borrower planned to open a business in the building we were able to get replacement financing in place with a traditional bank lender. 5/2013 – $850,000 Mobile Home Park: Borrower owned a mobile home park that was caught up in a combination of a Bank non-renewal of a loan and probate. In addition, there were back estate taxes owed. We were able to bundle all debts into one new loan, and get an attractive fixed rate transaction completed with a traditional bank for the full amount, satisfying all debts outstanding and clearing title for the new owners. 5/2013 – $10.7 million Industrial Property Portfolio: Borrower owned eleven industrial buildings all owned as investment properties. They were currently financed through a hard-money lender due to foreclosure action taken by the Borrower’s previous lender. We were able to refinance the debt at competitive market rates with a traditional bank, despite the one-year old foreclosure history, cutting the Borrower’s existing rate by close to 15%. 5/2013 – $190,000 Owner-Occupied Office Building: The Borrower had a relatively new business and had contracted to acquire an office building the business would occupy. The Borrower needed to close quickly to complete the acquisition. We were able to provide traditional bank financing to complete the acquisition, and flexed an existing residential investment property for equity to provide the Borrower 100% financing between the acquisition and the proposed improvements the Borrower planned to make for the property, without the need for a construction escrow to be setup. 5/2103 – $660,000 Industrial Building Refinance: Borrower’s existing lender was not interested in renewing the commercial mortgage on his partially owner-occupied industrial building. Due to the fact the Borrower’s main business was in the construction industry and the client experienced several rough years, he was not able to easily find replacement financing. We were able to find a large national bank that provided a very aggressive fixed rate loan due to the primarily owner-occupied nature of the property. 5/2013 – $700,000 Apartment Building: Borrower owned an apartment building that they had recently rehabbed. They were looking to refinance the property to get cash-out to cover some existing debts. However, the property had not had consistent cash flow for three years due to the renovations. We were able to procure financing to refinance the building and get the requested cash-out with a conforming private capital lender at an attractive fixed rate despite the lack of a stabilized historical occupancy. 5/2013 – $700,000 Banquet Facility: Borrower was acquiring a banquet facility out of foreclosure. Borrower had limited experience managing banquet facilities. We were able to get the Borrower an approval through an SBA 7A lender for the acquisition and improvements to the property to reopen the banquet facility. 4/2013 – $1.3 million Multi-Family Properties: Borrower was looking to refinance multiple multi-family properties that were maturing and the existing lender refused to renew. We were able to bundle the financing with one traditional bank lender, and get an attractive fixed rate transaction closed. 4/2013 – $400,000 Multi-Family Building: Borrower owned a multi-family building that her existing Bank was not willing to renew. We were able to get the building refinanced with a traditional bank lender at an attractive fixed interest rate. 4/2013 – $3.1 million Apartment Building: We were able to procure financing for a large apartment building acquisition loan through Fannie Mae despite the fact the Borrower’s lived out-of-state from the property. 4/2013 – $900,000 Construction Loan: Borrowers were constructing a new office building for their businesses. We were able to procure them construction financing through an SBA 7A loan program despite the construction risks in this market. 3/2013 – $1.4 million Drug Treatment Center: A non-profit was looking to refinance their drug treatment center. Due to the market the property was located in, with very high vacancies, and due to the nature of the property, many lenders had taken a pass. The existing lender had the property financed at a very high rate. We were able to bring in a larger banking partner for the organization and get the transaction closed at a very attractive fixed interest rate utilizing a swap program. 3/2013 – $85,000 Auto Repair Shop: The previous loan had been sold, and because the client had bad credit he could not refinance his owner-occupied auto repair shop. The note purchaser was starting foreclosure. The client brought his son in to be the Borrower on a purchase acquisition, and despite his son’s young age of 23, we were able to get an acquisition loan approved at conventional rates with a conventional bank, saving the property and likely the father’s business that operates from that property as well. 3/2013 – $800,000 Industrial Building: Borrower was looking to make a quick closing on the acquisition of an industrial building a Borrower had to sell quickly. We were able to get the loan approved with a traditional lender at an attractive fixed interest rate within 48 hours time and get the loan closed in just under two weeks, even including a full commercial appraisal. 3/2013 – $3.5 million Saw Mill: The Borrower had acquired a saw mill out of foreclosure utilizing private loans at high rates. They were able to get the mill re-opened and operating quite profitability. However, the negatives with the transaction were the guarantors had really no assets and liquidity, and one of the guarantors was the previous owner under which the saw mill failed with the previous lender. We were able to procure an SBA 7A loan for the refinance of the mill, which included additional working capital and new equipment financing, and would substantially reduce the interest being paid to the current private lenders. 2/2013 – $1.8 million Retail & Apartment Buildings: Borrower was having a retail building he owned foreclosed on. The property was over-leveraged. The foreclosure had negatively impacted the Borrower’s credit as his home was crossed in the transaction and the Bank and his first mortgage holder had filed for foreclosure on his residence. We brought in a private lender that was able to leverage other assets to refinance the subject property on a bridge loan with a discounted payoff, to buy the Borrower time to fix his credit to he could refinance more permanently. 2/2013 – $1.25 million Apartment Building: Borrower was looking to refinance an existing apartment building with cash-out. The issue the Borrower had was that personal cash-flow was very tight and the building had not been updated in a number of years. We were able to procure a financing approval at a very attractive seven-year fixed interest rate with a traditional lender to fund the refinance and the requested cash-out. 2/2013 – $250,000 Apartment Building: Borrower was acquiring an apartment building out of a foreclosure sale and needed to close quickly. We were able to procure a loan approval within roughly 48-hours time at an attractive fixed interest rate. 1/2013 – $652,000 Industrial Building: Borrower with growing business was purchasing an industrial building to move their business into. Borrower had limited cash to put down and also make the required improvements for his business, while also keeping reserves to help fund his growing business. We were able to get the loan approved utilizing the SBA 504 loan program, with the approval including money for the required improvements, procuring the Borrower both a strong bank rate but also a very strong SBA 20-year fixed rate on 40% of the transaction. 1/2013 – $110,000 Apartment Building: Borrower had bad credit and needed to refinance their apartment building to settle some debt. We were able to bring in a lender that could get over their credit issues and complete the refinance for them. 12/2012 – $2 million Retail Center: Borrower owned a retail center leased to a Bank on a long-term lease. The existing lender, that happened to be the Bank leasing the property, was not interested in renewing the loan. Other quotes provided were at higher rates. Borrower also wanted to get cash-out. We were able to procure a refinance of the property on a seven year very attractive fixed rate loan from a community bank lender, giving the Borrower the cash-out he desired. 12/2012 – $1.75 million Retail Center: Borrower owned an existing Walgreens store that had an environmental issue in the one corner of the property. Because of that issue, many lenders would not tough the property. We brought in a community bank lender that was willing to fund the loan including money to take care of the environmental issue, and did so at a very attractive fixed interest rate. 12/2012 – $270,000 Industrial Condominium: The property was an owner-occupied industrial condominium. The issue was the Borrower was in the trades, and had experienced several rough years due to the economy, causing his existing Bank to push him out. We were able to bring in a local community bank lender who could get around the bad years and complete the refinance. 12/2012 – $1.2 million Auto Repair Centers: Borrower owned several auto repair centers that were leased to third party operators that the Borrower was interested in refinancing. His existing lender was collecting 100% of the rents and applying the difference to principal, and the Borrower wanted to get some cash-out to have on reserve and get a more traditional amortizing loan. The issue was that several leases were coming due within the next three years. We were able to procure a long-term loan at an attractive fixed rate from a conforming private lender providing the requested cash-out and the control over cash-flow the Borrower was seeking. 11/2012 – $412,000 Apartment Building: Borrower was at a very high interest rate on her existing apartment building loan. We were able to procure financing for the property at a much better rate. 11/2012 – $200,000 Industrial Building: Borrower was looking to finance the acquisition of an industrial building to be owner-occupied. The building was being sold be a Bank that had taken it back in foreclosure, and was looking to close on the sale quickly. We were able to get financing done with a traditional source despite a couple of rough years with the business and some bad financial reporting. 11/2012 – $180,000 Apartment Building: Borrower was acquiring a new apartment building that had been recently stabilized by the seller with only a couple of months of stabilized operating history. We were able to bring in a lender that could make the loan despite no historical operating income and expense numbers. 11/2012 – $2 million Equipment Financing: The main business had only been in place for roughly 1 ½ years. Because of that the Borrower would not qualify with most traditional lenders and equipment leasing companies for financing for two new large machines to meet performance obligations under a large oil contract. We were able to bring in a private equipment lender who understood the market and the machines and get the equipment financing in place. 10/2012 – $2.4 million Industrial Building: Borrower was looking to settle his father’s remaining estate, and refinance one remaining building out of the estate into this name. Due to the fact most of the tenants were on month-to-month leases, despite very strong historical cash-flow, larger lenders passed on the transaction. We were able to bring in a local lender to complete the refinance at a very attractive fixed interest rate. 10/2012 – $1.6 million Mixed-Use Restaurant / Retail / Office Building: Borrower’s existing lender was looking for Borrower to move the loan due to the nature of the building, short-term leases, and tight cash-flow. We worked with the Borrower to help them get additional leases in place and were able to evidence to a community bank the benefits of making the loan. 10/2012 – $190,000 Apartment Building: Borrower was getting pushed out of his existing Bank on his apartment building loan due to the Bank exiting investment real estate. We were able to get him very attractive fixed rate replacement financing on his apartment building. 10/2012 – $770,000 Funeral Home: Borrower was looking to refinance an owner-occupied funeral home to reduce his interest rate and lock in long-term financing. We were able to secure him a ten-year fixed rate mortgage at a very attractive interest rate on his funeral home. 9/2012 – $1.4 million Car Wash: Borrower was looking to buy-out partners on a cash-wash they had just acquired out of foreclosure roughly a year earlier. Utilizing an SBA 7A loan, we were able to get the car wash refinanced, giving our client full control. 9/2012 – $1.5 million Retail Buildings: Bank was foreclosing on two properties owned by a Borrower. The one property was over-leveraged, while the other property was still performing. We were able to assist in negotiating a settlement on the one property and brought in a bridge lender to take out the one property while a settlement could be worked out on the over-leveraged property. 9/2012 – $400,000 Dental Practice Loan: Borrower was slightly over-leveraged in his operating of three existing dental practices. He was able to negotiate a discounted not payoff with his existing lender. We found a community bank lender willing to refinance his dental practices even with the discount. 8/2012 – $1.6 million Office Building: The Borrower’s existing Bank was pushing them out due to some leasing issues with their current building, although the building did cash-flow. Larger institutions were not interested in the financing due to tenant turn-over risk. We brought in a community bank lender to make the loan at still an attractive fixed interest rate. 7/2012 – $3 million Floor Plan Line of Credit: Auto dealership with a classic car floor plan line was getting pushed out by their existing bank, having had their previous line frozen and large principal payments required. This had negatively impacted revenues over the last year. We were able to evidence to a local lender their ability to service debt and ability to generate additional sales with a new floor plan line in place. 7/2012 – $1.6 million Retail Building: Client was looking to build a new retail center that would be partially owner-occupied by his dental practice and by his wife’s daycare facility with the remaining space available for lease. The property was being constructed in a tough urban market. We were able to procure an SBA 7A loan approval to fund the construction and end-loan on the property. 6/2012 – $1.25 million Business Loan and $250,000 Working Capital Line of Credit: Borrower’s bank had been taken over by a new bank, and the new bank refused to renew Borrower’s business loan. The funds had originally been used to fund business growth and investments in new technology. We were able to procure an SBA 7A loan to provide long-term financing on the term debt as well as to secure the business a new working capital line of credit. 6/2012 – $800,000 Restaurant: Borrower was already operating a restaurant in a building and was looking to acquire the building they operate out of. Borrower had limited cash to fund the acquisition of the building as they were also in the process of opening up another location. We were able to facilitate the approval of an SBA 7A loan so that they could fund the acquisition of the property. 6/2012 – $1.4 million Retail Center: Borrower had a largely complete retail center. However, the center had never been fully completed and had sat vacant for roughly a year due to the existing lender stopping to fund construction due to struggles that lender had. We were able to get approval for a bridge loan on an interest only basis to provide the capital necessary to complete the project and get it leased up, at which point the Borrower could refinance it into a permanent end loan. 6/2012 – $800,000 Equipment Loan: Expanding medical practice was in need of additional equipment, and we were able to procure that equipment at a very attractive interest rate. 4/2012 – $375,000 Apartment Building: Borrower’s existing loan was coming due, and we were able to get replacement financing at a very attractive fixed rate. 3/2012 – $450,000 Receivable Financing: Long-time company was about to lose their equipment due to their lender pushing them out of the Bank. Due to credit issues traditional financing options had already been exhausted by the Borrower. We were able to step in and within a few weeks time procure private AR financing from a private lender (not a factoring company) to payoff the Bank debt and allow the company to keep their equipment and stay in business. 3/2012 – $225,000 Daycare Center: Borrower’s existing daycare facility was expanding, and they needed financing to complete the acquisition of a new daycare facility. The means to cover the additional debt related to the new facility was largely due to business growth. We were able to evidence to several lenders their ability to support the new property debt service. 3/2012 – $1.26 million Apartment Building: Borrower had acquired an apartment building out of foreclosure that needed some work. We were able to procure a bridge loan to fund the remaining improvements on the property and help stabilize the property, at which point it could then be refinanced into a more conventional loan. 2/2012 – $2 million Equipment Financing: A relatively young company was looking to acquire some heavy equipment to support a new contract. Due to less than two years of business history, traditional equipment financing companies were not interest in the transaction. By preparing a detailed global analysis on all of the business holdings of the Borrower, we were able to present their request to a private hard money equipment lender and get approval for the financing of this large equipment financing at a loan to cost over 80%. This financing will give the company the equipment they need to meet the terms of their very lucrative contract. 2/2012 – $2.9 million Retail Building: Borrower had an existing retail building that was vacant. Borrower was in need of cash to pay leasing commissions and to complete building improvements and tenant build-outs as required by new leases with strong tenants. Due to a lack of liquidity and currently no cash-flow, the Borrower could not get construction financing through traditional banking sources. We were able to place this transaction with a hard money lender to get the borrower 100% financing of all costs to complete the improvements and get the new tenants moved into the property. 2/2012 – $2.45 million Medical Office Building: Borrower owns a newly constructed medical office building that is roughly 30% owner-occupied. Borrower needs to refinance the property to get its interest rate down and because the loan is maturing shortly. However, the property is only about 50% leased at the moment. Despite this fact we were able to prove up cash-flow and borrower financial strength and get the loan approved with a regional bank with the option of a Libor plus 3.25% floating rate or a fixed rate in the mid to upper 4% range. 2/2012 – $250,000 Apartment Building: Borrower was getting pushed out of their existing Bank that was exiting the investment real estate market, and needed to refinance a small apartment building they owned. They were unsuccessful in getting the financing on their own due to some high personal credit. We were able to completely analyze the request and get their credit and cash-flow explained, and procured them with the financing for the property. 2/2012 – $120,000 Office Building: Borrower was looking to expand their home daycare business and purchased an office building to rehab and move the business into. Despite relatively low existing income and a tight personal ratio, we were able to evidence the benefit for them in acquiring the subject building and placed the financing with a regional lender without any SBA support. 1/2012 – $700,000 Office Building: Borrower was under contract to purchase an office building to move his business to. Due to market conditions, the Borrower had experienced a loss on another investment property, which was showing up on his credit. Despite this issue we were able to highlight the positives of the new transaction and prove up cash-flow and financial support for the loan request, and get approval utilizing the SBA 504 loan program at an attractive market interest rate with a traditional local bank lender. 12/2011 – $8.5 million Retail Center: Borrower owns an existing retail center and their loan was about to mature with their local lender. Due to the fact the Borrower was heavy on investment real estate, their local lender was not interested in renewing the loan. We were able to procure two loan approvals for them, one through a conduit and the other through a conforming rate private lender, where deposits and relationship were less of a concern and the focus was on the asset itself. Both offered very attractive five-year interest rates below 5%. 12/2011 – $2.5 million Gas Stations: Borrower was under contract to purchase three gas stations at a substantial discount from a borrower and lender in possession. The Borrower was putting significant cash down at time of purchase. Despite market conditions for gas stations, we were able to get acquisition financing approved at an attractive market interest rate from a regional bank. 12/2011 – $700,000 Special-Use Financing: Borrowers were struggling to refinance two lube centers held for investment due to market conditions, and the Borrower needed to move the loans out of their existing Bank. We were able to due a detailed analysis on global cash-flow and liquidity for the owners, and get a regional bank to approve the loan at a very attractive market rate of 5.25%. 11/2011 – $800,000 Equipment Financing: A growing medical practice needed to acquire additional equipment to fund transaction. However, due to complicated financial statements and multiple ownership entities, the cash-flow was hard to understand. We were able to provide substantial underwriting, explanations, and financial support from the request, and procured the required financing from a regional bank at a very attractive rate of Libor plus 3.25% (roughly 3.50% initially at closing). 11/2011 – $900,000 Business Term Loan: Borrower was under contract to purchase three additional Dunkin Donuts franchises and had a tight window in which to close on the financing. We were able to quickly underwrite his full business operation and present a relatively low risk financing option to our lenders, and were successful in getting him the financing necessary to acquire the new stores in a short-period of time and with an attractive variable rate starting at 4.75%. 11/2011 – $150,000 Mixed-Use Building: Borrower was past due on the real estate taxes for multiple investment properties and due to high leverage had tight cash-flow. He did own two properties that were free of debt and needed cash-out to pay his real estate taxes and get his properties back in financing order. We were able to procure a hard money loan for him to get him the cash-out he needed to cover his taxes and work to get his properties refinanced at a lower interest rate. 10/2011 – $1.4 million Industrial Building: Borrower refinanced an existing industrial building in order to reduce its interest rate. We were able to procure an attractive fixed interest rate with a regional bank substantially below their existing interest rate. 10/2011 – $1.3 million Operating Line of Credit: Due to business growth, the Borrower needed increased availability of their existing line of credit. However, their existing bank did not seem interested in increasing their line of credit. We were able to procure them a line of credit increase with a regional bank from $500,000 to $1.3 million as well as reduce their interest rate from Prime based with a floor in the upper 4% range to Libor plus 3.25% with no floor. 10/2011 – $875,000 Business Term Loan: Borrower was in the process of buying out a partner in their manufacturing business. They struggled for years to get the financing they needed to complete a leverage buy-out of their partner. We stepped in, provided detailed credit analysis and background, and worked with a regional lender and the SBA to get an SBA 7A loan in place to fund the leverage buy-out, allowing the owners to get rid of a destructive owner to their business. 9/2011 – $250,000 Industrial Building: Borrower had recently gotten divorced and as part of his divorce settlement needed to payout his ex-wife on his business. He currently owned his existing industrial building where his business operated out occupying 33%, and needed to refinance that property with cash-out to settle his divorce. Despite the presence of the divorce and the fact the loan request included cash-out, we were able to procure him financing at a very attractive market rate of 5.75% on his property to settle his divorce from a local Bank. 7/2011 – $650,000 Industrial Building: The Borrower owned an extremely unique rural owner-occupied industrial property that also served as their personal residence. Because of the uniqueness of the property most lenders were not interest in refinancing the loan. In addition, the Borrower had invested significant capital upgrading the property utilizing credit cards because they had an end loan pre-approved, but when they went to fund the end loan their existing bank refused to fund it. We were able to underwrite the deal highlighting the positives and clearly explaining the cash-flow to find a local / regional bank to fund the transaction despite the high credit card balances and unique nature of the property, saving the borrower substantial money on credit card payments and consolidating their expenses into a more workable situation. 6/2011 – $3.25 million Apartment Building: The borrower was looking to refinance their existing apartment building and get the best interest rate possible. We were able to get an approval to refinance the building through Fannie Mae at a very attractive 10-year fixed interest rate in the mid 4% range, saving the borrower almost 2% over where their current interest rate was at. 6/2011 – $230,000 Medical Office Building: A doctor was looking to expand his existing medical practice, and was under contract to buy an office building to operate out of. Due to market conditions and their short-time in business they struggled to find a lend to fund the transaction. We were able to find a regional lender willing to fund the transaction at a very aggressive rate, and got an attractive loan approval for the Borrower limiting their cash into the transaction. 6/2011 – $1.8 million Equipment Financing: Borrower had a growing medical imaging business and could not get the additional financing needed to grow his business from his existing lender. Part of the issue related to confusion over multiple business entities. We were able to breakdown those business entities and provide detailed financial and cash-flow analysis to prospective lenders, and was able to get him the additional financing he needed to expand at a very attractive rate of Libor plus 3.25% (roughly 3.50% at time of funding) as the Borrower chose to take the variable rate because it was so low. 5/2011 – $800,000 Special-Use Property: Borrower owned a special-use property that was a nightclub with very little debt. The Borrower needed to get cash-out to cover other real estate issues, but could not get the financing done in the traditional market due to the property type. We were able to procure a hard money loan to get the property refinanced and to get the borrower the cash-out they needed. 5/2011 – $3.7 million Restaurant Financing: Borrower was getting pushed out of his existing Bank and needed to refinance his existing successful restaurant operation. However, the business was still relatively young with just over a year in operation. We were able to highlight the positives of the transaction and get an approval for financing with a traditional lender at a strong fixed rate. 4/2011 – $650,000 Construction Loan for a Mixed-Use Property: Borrower had started construction on a new mixed-use property in Chicago using her own cash. However, she had a loan approval in place from her Bank. When it was time to utilize bank capital, the Bank backed out of the deal. She needed to get financing for a half complete project with little personal liquidity left (it had all already been invested into the project). We were able to procure her financing with a local market bank for the property by repositioning her assets and focusing on her global cash-flow that not only included the money needed to complete the project but also included $100,000 in capital back out to her once the project was completed and leased out. 4/2011 – $950,000 Apartment Building: Borrower’s loan was maturing and due to struggles at her existing Bank, they were not interested in renewing the loan long-term or at market interest rates. We were able to take her loan to market and procure her an attract rate on a longer-term refinance. 3/2011 – $3.5 million Apartment Complex: Borrower owned a minority interest in an apartment complex in Florida. Due to a huge drop in rental rates due to the economy, the property no longer performed at its current debt level. The borrower negotiated a discounted note purchase, and we were able to fund a purchase of the note at 78% financing with a hard moneylender on a short-term (one-year) basis. It allowed the borrower to avoid foreclosure, and we were able to refinance the property into a Fannie Mae mortgage loan a few months later. 3/2011 – $1 million Line of Credit: Borrower was a builder by trade and was in need of a line of credit to fund on-going construction. We were able to get him approved for a line of credit by putting together a financing program where he pledged several free and clear investment properties he owned to secure the line of credit. This gave him the ability to borrow money only when needed for projects, and gave the Bank comfort because there was cash-flowing properties for the Bank to fall back on to support the loan should the need arise. 2/2011 – $4.6 million Hotel Loan: Borrower owned an existing hotel that had positive cash-flow and they had plans to expand and upgrade the hotel and needed construction financing to do so. Because of market conditions, their existing lender was not willing to fund that construction. We were able to procure a loan approval from a national bank under the SBA 7A loan program to provide capital to refinance and fund the requested build-out of the hotel without any additional cash into the deal from the Borrowers and at an attractive market interest rate. 6/2011 – $800,000 Apartment Building: Borrower owned a condominium building that had been leased out as apartments with no debt. Borrower wanted to refinance the property with cash-out in order to take advantage of real estate prices and to acquire additional properties. However, the Borrower struggled to find financing on his own due to the fact his primary income was as a builder. We were able to get the loan approved through Fannie Mae for $800,000 in cash-out financing at a very attractive 10-year fixed rate. 1/2011 – $600,000 Industrial Building: Borrower was looking to purchase an industrial building to move their business into off a Bank. Because it was a Bank sale, the Borrower had limited time to close. Their existing lender was not interested in the transaction, so they came to us with a very tight time frame in which to get the deal done, which also meant SBA financing would not work. We were able to get them an approval and move the loan forward very quickly so they could close on this transaction. 12/ 2010 – $1.4 million Mixed-Use Primarily Apartment Building: Borrower needed to refinance an existing mixed-use building out of a Bank they were getting pushed out of. They could not get financing on their own due to the nature of the building being investment and mixed-use. We were able to position the property in light of the borrowers full relationship and get the financing completed on a conforming loan with a solid national bank at an attractive fixed rate, as well as help them settle their debt. 12/2010 – $1.9 million Retail Center: Client owned a center with only 67% occupancy and was being pushed out of his existing bank due to them existing retail lending. We worked hard to position the property in the best light by gathering information on the existing tenants and encouraging early renewals on leases, and was able to place the loan with a local community bank at a rate lower than the previous lender at 6.25%. 12/2010 – $500,000 Apartment Building: Borrower was under contract to purchase a 12-unit apartment building in Chicago that was run-down. His existing bank denied the financing last second due to current cash-flow and he could not find another lender willing to do the deal. We were able to step in and find a replacement lender in a very short period of time and got him an attractive deal at a rate of 5.75%. 11/2010 – $1.3 million Apartment Building: The borrower had done a full gut rehab of a large apartment building and was looking to refinance the building and get cash back out of the project to take care of the investors in the project. We got a loan approved through Fannie Mae for up to 90% of their total cost for the project refinanced on a longer-term attractive market interest rate, allowing them to payout all investor capital and get back out of the property a majority of the capital they originally put into the property. 10/2010 – $2.4 million Apartment Buildings: Client was looking to refinance their existing apartment building portfolio and move from a higher 3-year fixed rate to a longer term fixed rate We were able to procure an interest rate one percent below the borrowers existing rate on a ten-year fixed basis with a 30-year amortization utilizing a Fannie Mae financing program, saving the Borrower substantial money and hassle. 9/2010 – $1.3 million Industrial Condominiums: Client was struggling to refinance one industrial condominium unit because the value had dropped. CLX was able to combine that unit with another unit with equity and achieve 85% financing between the two units (without SBA assistance) and get a very attractive rate well below market at 4.25%. 8/2010 – $3 million Operating Line of Credit (Asset Based): Client was being pushed out of his existing bank and had his line of credit reduce from $2 million to $1.5 million. We were able to get a new line approved at a new institution and not only get him the $2 million he needed to operate, but also get him a fresh $1 million in new capital with pricing at Libor from 3.50% with a floor of 4.25%. 7/2010 – $500,000 Working Capital Line of Credit: Borrower was in need of a new working capital line of credit to expand his medical practice. However, due to some personal credit issues, he struggled to get his financing placed on his own. We were able to step in and structure his transaction focused on business cash-flow and get him the capital he needed to fund the expansion of his business and a solid variable market rate. 5/2010 – $3 million Construction Loan for a Medical Office Building: The borrower was looking to construct a new medical office building that would be more than 50% owner-occupied by a medical practice. With the market struggling, it was a challenge for the borrower to find construction financing. SBA financing was also a challenge to find because the borrowers business was new. We were able to get a five-year loan approved including 18-months interest only for construction at a rate of 8.50% fixed. 3/2010 – $350,000 Business Loan and $75,000 Line of Credit: Borrower was in need of some working capital to support his existing Veterinary business. His existing lender refused to extend him fresh capital. We were able to find a replacement lender interested in growing with the client and got him new financing including some new equipment financing.